This game will get ugly for Americas fast Montwood wins 64-14. #33 Needs to play MLB! The Montwoods Rams offense scored 69 points tonight against Coronado while the Rams defense allowed the T-Birds to put up 52 points of their own. Can Americas slow down Montwoods high scoring offense and can the Rams defense prove once and for all that they can be consistent for the entire game so that the offense doesn't have to work so hard? 21 points came from special teams mistakes. The defense made crucial stops at crucial times of the game. I don't care what you are anyone says #33 is a LB and he has been playing that position since youth football. And all this pettiness going on with the defensive coach behind the scenes reference this kid needs to stop! The bottom line is he's a very good football player who plays with a lot of heart and enthusiasm. This is not about speaking down on any other player but Ev Ruhl is playing out of position and as a result he is not as effective on defense as he could be. And that's all I have to say about it. That's because they don't have Tremaine Henderson. Let me correct you. That's because Americas does not have a Jack or Josh Fields. AND they dont have Colton to lead their defense anymore either. Maybe in middle school or City where you pay to play. This is Varsity and things change. (Parent) your not the only one going through this, it happens Nation Wide. I think he is super small for linebacker isnt the kid 5”2 and with that size that might be the reason. He would be more effective at the position he is at right now. The other thing is he is more about doing his thing then listening to the coaches that also could be an issue. Whatever the reason is the right spot is where ever he can help the team. Linebackers #58 and #35 are doing an outstanding job stopping the run. The secondary needs some adjustments or set up different formations. Outstanding? Are you being serious or joking? Like someone said someplace in this board Montwood has a swiss cheese defense. Too many holes. Good thing they are playing Americas next because Americas has a similar swiss cheese defense like Montwoods but a little more cheesy and alot more holes. # 33 Ruhl Is probably Montwoods' best defensive player. I have been watching him play for the last 3 years in High School. He's a leader and all heart and no he's not 5'2" .The kid plays with emotion, Is always around the ball and will knock the snot out of anyone on the field. Montwoods' defense definitely needs a change on defense. The question is will the Coaches EGO ALLOW HIM TO MAKE CHANGES? Yep !!! If you knew the game you would know. Guess every defense is the City is Swiss cheese, cuz everybody scores on Friday night. Don't see any shut outs Chris! I think you might want to set the bar a little higher on "doing an outstanding job"
You must not know football, But you don't need to be 6'3" to play middle Line Backer at the HS level here in El Paso. Who do they have to take on a 6'5" 320lb tackle? Heart and Physical toughness makes up for size. Look around, some of the best LB are scaling at 5'7- 5'9 here locally. 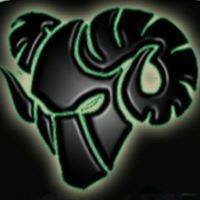 Are you outa your mind "Ram fan?" 5'2"! The kid is on the smaller size, but more like 5'8". I've read your posts in the past, and you seem to hate on this kid a lot. I have to wonder what your motive is. I had the great fortune of coaching #33 at the youth level, and knew he'd be one to watch in middle and high school. Veliz brought up to varsity as a sophomore, where he started at middle LB mid-way through the season. Unfortunately, due to an injury, he only played one game last year, but it was the best game I've ever seen him play. Like him or not, he NEEDS to be at starting LB, and in on every defensive play. He's plays with more aggression and determination than almost every other kid out there. It may look to you like he's "doing his own thing" and that's only because you can't help but look at him doing his thing on the field! He's a motivator, no doubt about it. Coaches need to put their egos aside, and do what's best for this team, or they can kiss any run in the playoffs buh-bye. Hey Mr Defense Wins Games: Then why is Montwood 7-0 ? Eastsider Eastrider whatever your handle is on this board listen and listen good and take off those Montwood goggles. In El Paso a 7-0 or 10-0 team does not matter squat buckets because majority of the time and please look up the word majority before you continue to read this post of mine. Ok now that you know what majority means majority of the time El Paso teams with undefeated records or with only 1 loss usually lose in the Texas state playoffs to out of town teams in the first or second round to out of town teams with 5-6 records or 6-6 records. So yes defense wins games where in really counts which is in the Texas state playoffs. So yes Montwood is in big big big trouble and they better fix their big open hole gaps fast because the regular cupcake season is almost over. Who ever you are, (DWG-Outsider) Why you crying and worried about Montwood.